Good news for Candidates who are looking for Latest Govt Jobs Notification. Apply Online for Various Jobs 2017. 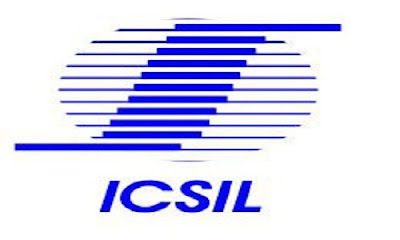 ICSIL Recruitment for 78 Staff Nurse, Kitchen-Helper & Various Vacancy: – Intelligent Communication Systems India Limited (ICSIL) has issued a latest notification for the recruitment of 78 posts on contract basis. The service is Staff Nurse, Kitchen-Helper and Other. If you want to make the career at ICSIL Vacancy then you can attend walk-in-interview on 04-09 January 2018. It is the golden opportunity for interested candidates, who are seeking government job in ICSIL Vacancy. Eligible Candidates can check latest Govt jobs in Employment News Updates of Notification. Intelligent Communication Systems India limited has Screened the Notification for Paramedical Staff posts of Staff nurse, GDMO. psychiatrist, Cook, and other vacancies. Department of Social Welfare for half Way homes new Delhi has taken the decision to fill up the Various Para medical posts. candidates who are passed in 10th/10+2/Diploma/Graduation/Masters Degree in concerned field from the recognized university they are eligible for this posts. Before Participating Interview Applicants need to check the Eligibility criteria. You can check More Staff Nurse jobs. Eligible and Interested can apply for this Job on its official websites. Clinical Psychologist: Masters Degree in Psychology M. Phil in Medical & Social Psychology (i) M. Phil in Medical & Social Psychology is old nomenclature for M.Phil in Clinical Psychology. At present, the degree which is given by all the institutions/ universities in the field of clinical psychology across the country is M. Phil in Clinical Psychology which is recognized by Rehabilitation Council of India as the basic qualification for a clinical psychologist. (ii)Rehabilitation Council of India (RCI) is the regulatory body for M.Phil Clinical Psychology Training in our country and as per the standard of RCI M.Phil Clinical Psychology is two years full. Occupational Therapist: F.Sc./ Pre-medical/ Higher Secondary with Science or Sr. Secondary with Science and Diploma in Occupational Therapy from recognized institution 2 years experience in occupational therapy in Central/ State Govt./ GNCT/ Hospital/ Medical Institution/ Medical Colleges. Physiotherapist: Matriculation or equivalent qualification from a recognized Board. 3 years Diploma in Physiotherapy from a recognized institution OR 10+2 or equivalent recognized Board/ with Science as a subject. Degree in Physiotherapy 2 years experience in Physiotherapy from a recognized Institution. Staff Nurse: Matriculation or equivalent from recognized University/ Board A grade certificate in Nursing from the recognized institution. Should be able to speak in Hindustani fluently. Complete the ICSIL Application Form with the essential data.